A new video for "Espirais da Loucura” from Brazilian trio DEAFKIDS has been shared this week. 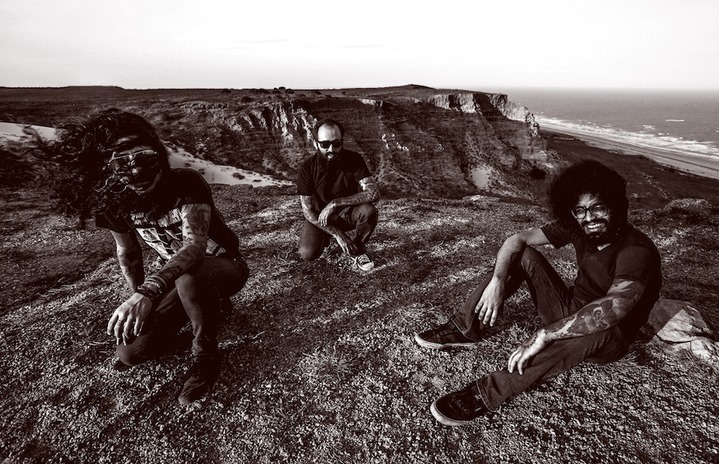 The song is taken from the band’s explosive third album, Metaprogramação, which was recently released through Neurosis’ label, Neurot Recordings. The new video for for "Espirais da Loucura” was directed by Vitor Jabour. The band offers, “‘Espirais da Loucura’ illustrates the desperate layers of absurdist madness in its inner and outer aspects – cloistered witnesses in fields of agony – the inner war between our own personas and desires. In its outer aspects, it reflects the chaotic confusion of our daily struggles in socio-political realities, where present and future are being written in hopeless and dystopian lines by this fascist and corrupted misgovernment we are currently living in Brazil. The video was created through analog circuit-bending by the Brazilian VJ Vitor Jabour, collaborating with what we call the ‘Brazilian Lo-Fi Abuse,’ by creating violent synesthetic sensations through the abstraction of colors, lights and sensory movements." With harsh noise and industrial elements seamlessly melded into a volatile and rambunctious hybrid of ethnic jazz/world music-influenced punk, DEAFKIDS thematically tackles existential socio-political topics and dystopian themes through their own artistic lens. Their singular sound and manic energy coalesce to form one of the most intriguing and challenging acts in recent years. DEAFKIDS will tour across Europe in support of the album this Spring, leading with two sets at Roadburn Festival April 11th and 12th. These shows will be followed by several weeks of shows, the tour lasting into early May, and the band joined by Rakta for the journey. North American touring with Neurosis and Bell Witch has also been announced. Dates and details below. 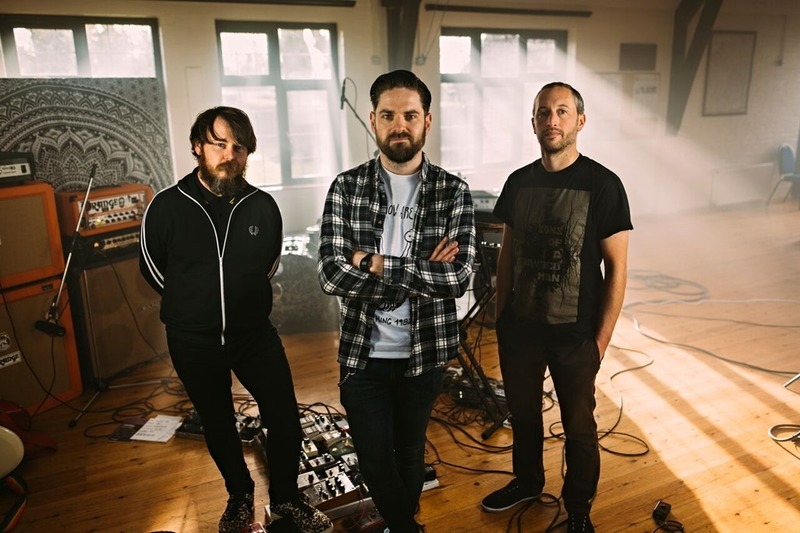 Ahead of the release of their upcoming album I, Awake, progressive, post-rock and general riff-heavy outfit Upcdownc have shared a new video for the track ‘Adrift (Parts 1 & 2)’. At just 1 min 27 sec in length it’s a short and sharp blast of intense heavy music. American artist and performer Jarboe and Italian occult duo Father Murphy will be touring together Europe this Autumn, promoting a collaborative EP out September 22nd on Consouling Sounds. Ahead of the release and impending tour, they’ve unveiled a trailer by way of a taster. American artist and performer Jarboe and Italian occult duo Father Murphy will be touring together Europe this Autumn, promoting a collaborative EP out September 22nd on Consouling Sounds. Jarboe and Father Murphy’s connection runs deep. Jarboe continues to have a profound influence on Father Murphy’s musical path, and there is a strong, mutual understanding of what they define as a "sense of guilt", rooted in their Catholic upbringing, which informs their music, both together and independently. Approaching the EP, both Jarboe and Father Murphy each wrote a song, which they exchanged for the other to finalise, the result being a rich reflection of the spirit of both artists, and their meaningful bond. The Jarboe & Father Murphy EP was mastered by an infamous engineer, Davide Cristiani at Bombanella soundscapes studio in Italy, using a technique he calls "anti-mastering" whereby he irradiates the analogue master with deep, pure 432hz sounds in a process that somehow gives the master the same benefits than a defragmentation does to a hard disk. It works the sounds together in harmony, the result being much brighter and more real, which is very befitting to the release.